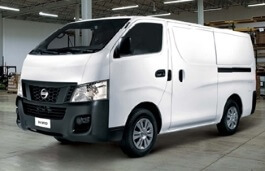 Correct Wheel Sizes, PCD, Offset, Rims and Tire specs for Nissan NV350 series. 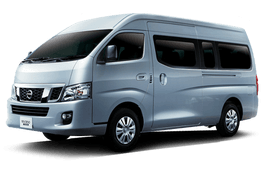 Can toyota hiace fits in nissan nv350?if yes why the centre diameter is much smaller? Hi,Fiz,The stock toyota hiace wheel size is 15*6.5 and center diameter is 106.1mm,but for nissan nv350,The stock wheel size is 15*5.5 centre diameter is 100mm.Truelly smaller than it.